Hello! 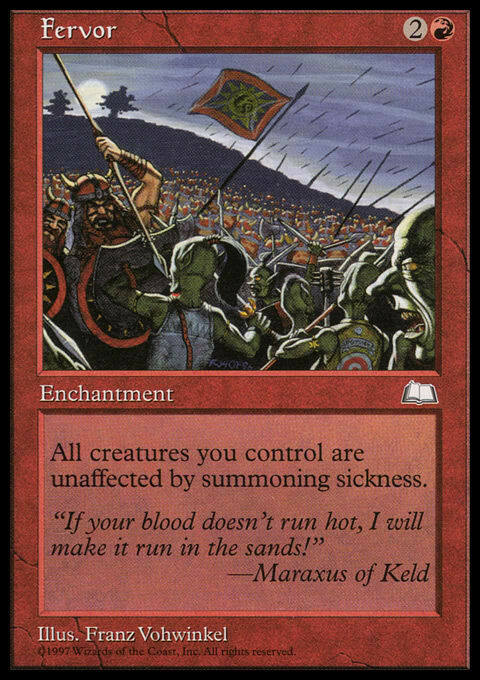 Today, I want to look at the best cards from an old favorite, Invasion Block. This follows up on a pervious series I began with Mirage Block. Like the previous lists I have written, I played during this era. A lot. I won tournaments. I played heavily at kitchen table formats. Shoot, I even started writing my first articles during this era. I know it well. This is a strong time for Magic. This is when the game got its groove back. The goal of this list is to provide a retrospective look at the best cards from the Block for those who may not have been playing then, as well as a fun kick back to the cards of yore for those of us who were shuffling cards then. While this list does not include cards that are my personal favorite, like Fleetfoot Panther, Order // Chaos, or Thornscape Battlemage, it does include cards that I think are, objectively the strongest cards. I would argue that Invasion Block is the most beloved Block in the pre-Modern era when Mirrodin hit the streets. This is probably the most popular Block until Ravnica. Note that this list is not, “Top Ten Cards from Invasion Block for Commander.” If it were, you would expect to see cards like Phyrexian Arena that are much better there. It’s not bad for 20 life formats, and it would make my Top 25 from the Block, but not my Top Ten. This is just a general, Top Ten List. Given how popular this Block was, I am sure that I missed some cards here and there. I looked over every single card printed in the Block on Gatherer, all 631 of them! I wanted to remind myself of the cards, and I pulled more than 40 cards out as potentials for this list. I get it if I missed a favorite here or there. One of the cool things about this Block is that many of the best cards were uncommons. In fact, this will be my first Top Ten for a Block where I don’t have a majority of rares in the list. For example, my Urza’s Block list had 2 commons and a single uncommon in the list, while my Masques Block list had 0 uncommons and 2.5 slots dedicated to commons (One slot was split with a common and rare). But this list? It’s lighter on the rarity side, which I think led to people seeing this as an open Block. We have just 4 rares making my Top 10, and one cycle each of uncommons and rares in my Honorable Mention spot, so that’s 4.5 spots across 11 spaces. Not bad, right? Mana Matters. The new slate of five pain lands from Apocalypse were key at giving folks additional mana options that were high quality. 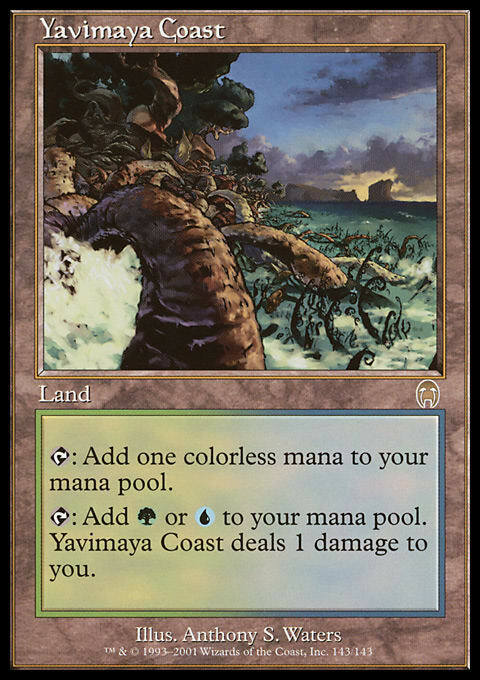 This Block was probably the beginning of quality land cycles such as the fetch lands, shock duels, and more that were about to hit the street. This pain land cycle arrived on the back of the uncommon land cycle from Invasion with cards like Coastal Tower that had no weaknesses other than arriving to the battlefield tapped. These two new sets were harbingers that we were entering an era of mana making that would be both cheap and plentiful. Vindicate is a great card! It gets played in a lot of places! I have run it in my Legacy deck, as well as lots of other places. It’s a perfect sorcery speed answer. But at the end of the day, it’s just a 3 mana Desert Twister across multiple colors. 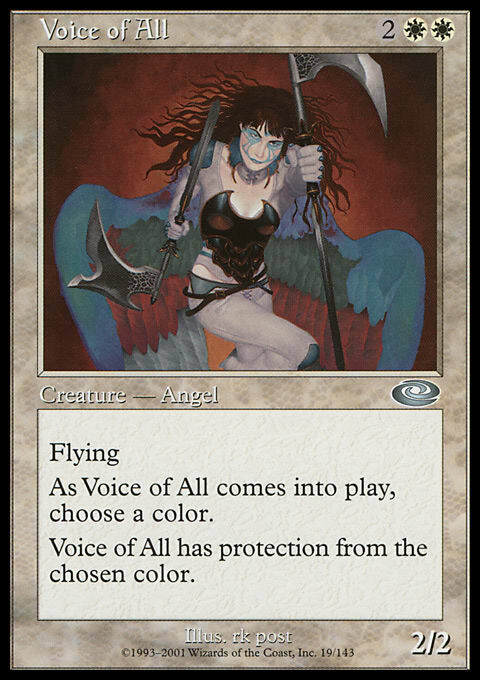 We’ve seen other Vindicate effects such as Mortify, Utter End and Anguished Unmaking come around in these colors. We also have similar effects in with Maelstrom Pulse or Abrupt Decay as well. It’s good, and it deserves to be in the conversation at #10, but it’s not higher. Of those, only Serene Offering had an on-resolution benefit of gaining some life. 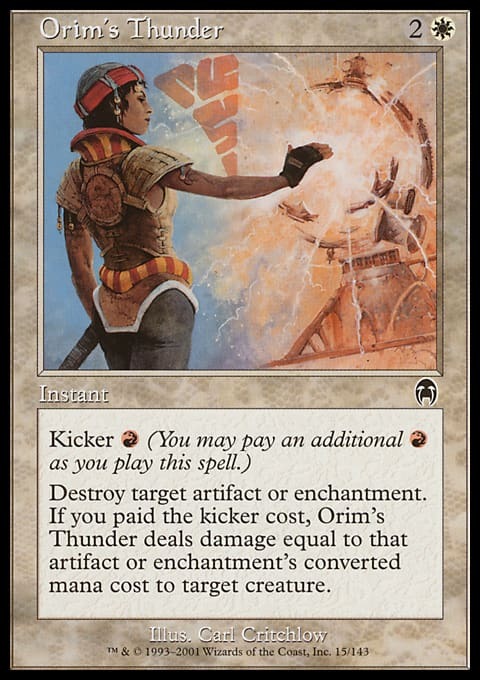 But here is this set we can kick Dismantling Blow for two cards, kick Orim's Thunder to burn down a creature, Aura Mutation for some 1/1 Saprolings, drawing a card off Aura Blast, and many more effects in just one Block. Now the big winner of this was Recoil, which was amazing, and was an instant Vindicate if someone had no cards in hand. 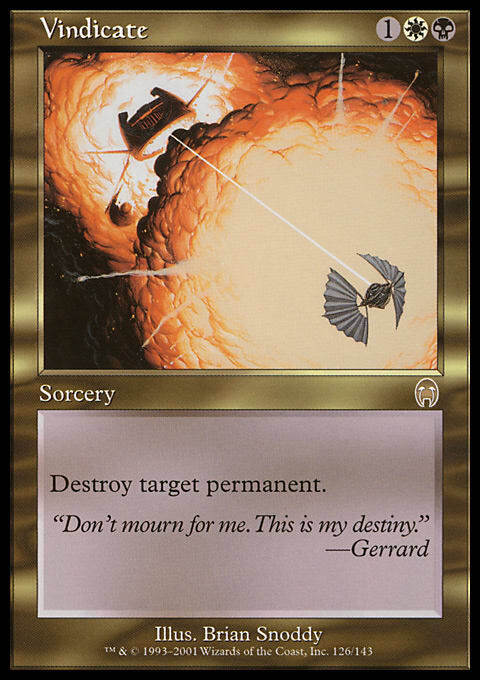 Otherwise, the combination of bounce and discard was strong, and it remains one of the best cards ever printed. The prolific nature of these abilities that gave you multiple options and benefits was strong. 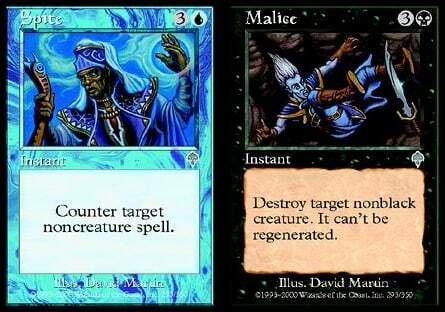 Both of these enchantments are in the same set, color combination, and rarity, and yet they do very different things. Both of them are nice, and from different angles. One prevents your stuff from being targeted by removal, and the other is removal tethered to creatures. Both of them work very well. Now, this slot is really Aura Shards’ because of how dominant it can be in shutting junk down of an artificial nature. It will prevent artifacts or enchantments from ever being a thing for your foes with no additional mana down. It’s nice and it works well even through today. 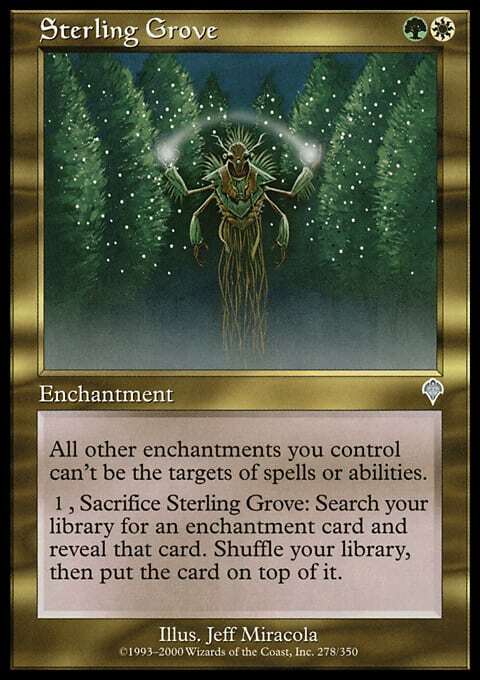 And Sterling Grove is a great, but forgotten, card that plays into a pro-enchantment place but has never been reprinted so it’s not available in many a home, such as Commander decks or other places that would have made sense. Sterling Grove away muh friends! Fire // Ice is an iconic card in multiple formats and was even a staple in formats as strong as Vintage for years after it was printed. It was the winner of the split card cycle, and while many split cards were played in various formats, Fire // Ice was always seen as the top echelon by far. For example, Wax // Wane was run in some Fires decks as a way to stop other major enchantments of the time, and Assault // Battery was run in multiple shells, including Fires. As samples, Zvi ran Assault // Battery is his deck, while Finkel ran Wax // Wane. 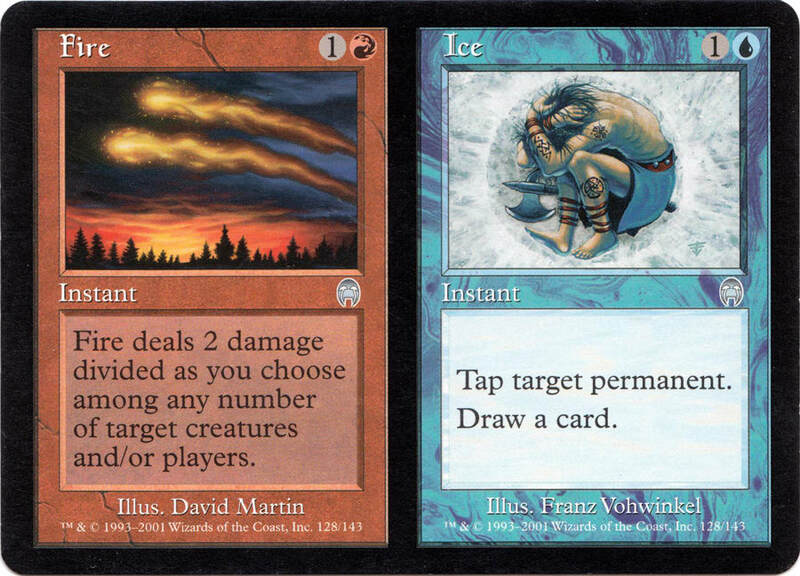 Split cards were a big deal due to the different options available, but Fire // Ice was better. The instant burn that could potentially take out two dorks in the right circumstances or tapping and drawing a card was incredibly versatile, and gave you tools against both aggro or control/combo in your main deck without needing to sideboard later. Don’t sleep on this card! 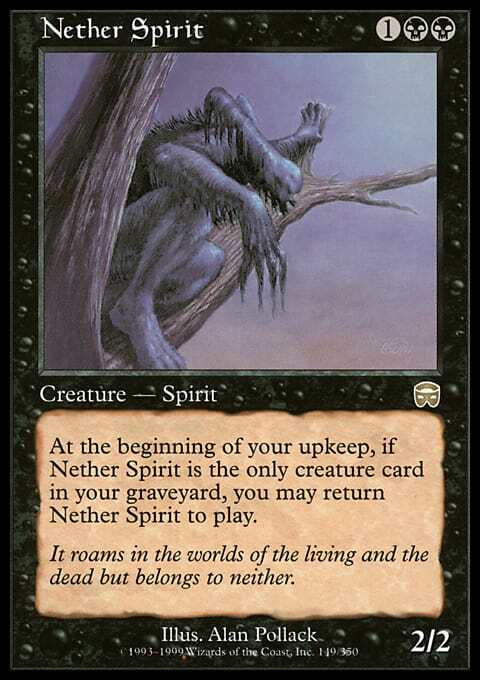 Spiritmonger quickly became an essential card to stop at the table. It was a perfect card to run in Standard and elsewhere. It played into many funky roles that had to be answered. First, it out-punched the current dorks being played on the ground in Fires. It was stronger than #2 below, Blastoderm, Kavu Titan, Jade Leech, and more. It was difficulty to win a ground game against its size for that cheap cost. Secondly, its regeneration gave it room to breathe against removal of the time. 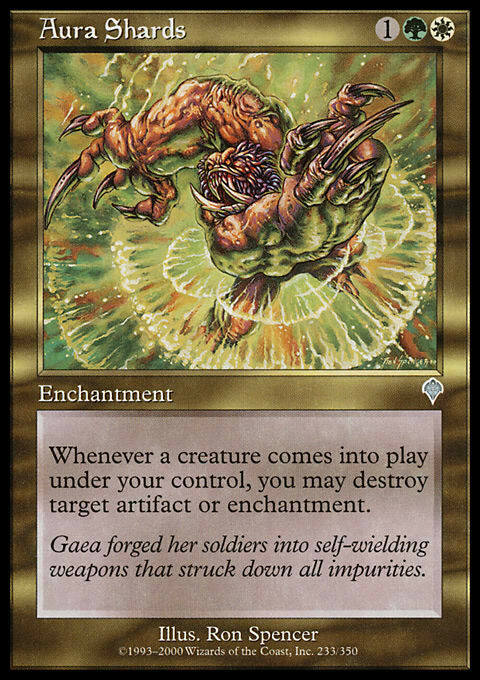 A common tool for mass removal was Earthquake, which was also the sweeper of choice in most Fires decks. You can tap 1 mana and end their Earthquake dreams of destroying your Spiritmonger. It could survive burn. It could survive Fires sacrificing a Fires to let their dork defeat yours in battle. It could keep alive against a lot of answers that cropped up. Thirdly, it could shift its colors. Because it was Black, this was not as important as Kavu Chameleon, which could become Black to prevent Black-based removal from taking it out. A commonly played answer, such as Spite // Malice that couldn’t take out Black dorks wouldn’t work anyway, Slay was commonly seen in sideboards as it was a free card with those cantrip fun times, and Spiritmonger could become White or Red if you needed it to. (The new color replaced the old). 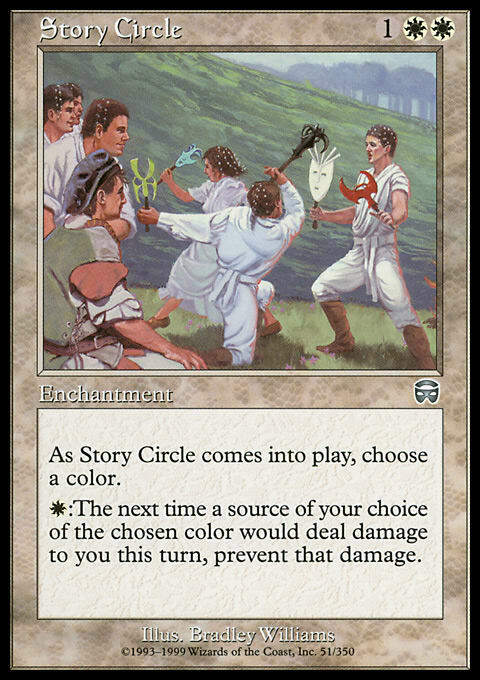 There were the occasional color matters cards in the format too, in case someone ran Voice of All or Story Circle against you. 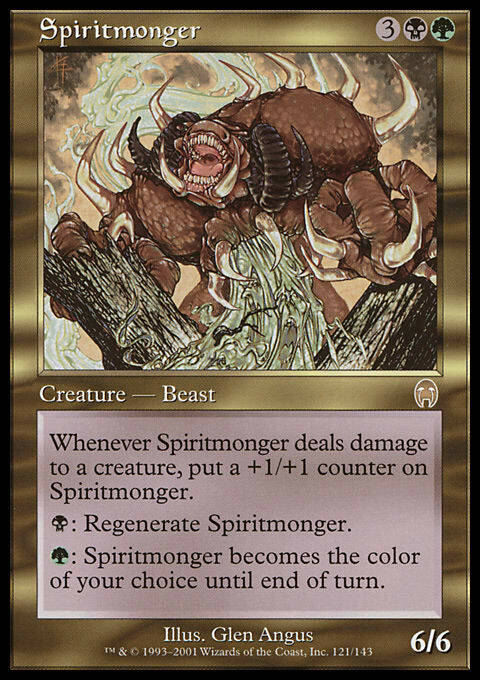 Spiritmonger was a serious threat that lined up perfectly to deal with any of the answers you might want to turn its way. Hello Meddling Mage Fans! I hope you are all having a fun day today. This two-drop ruled the roost as it gave players an aggressive way to tell people to knock it off. 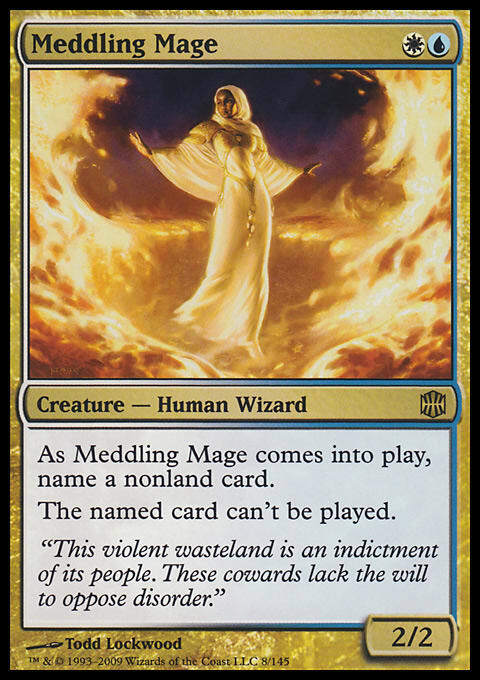 The power of Meddling Mage was undeniable, especially as it came after the introduction of one-drop discard effects like Duress and Ostracize that let you look at someone’s hand the turn before you could cast this. You have a strong chance to twin these as they were legal in Standard at the same time. 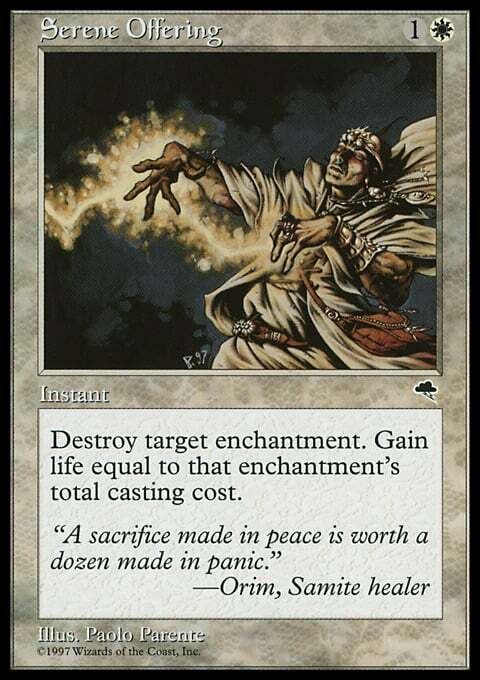 It’s also great to cast it and then name something that would shut down your deck, such as Blastoderm. 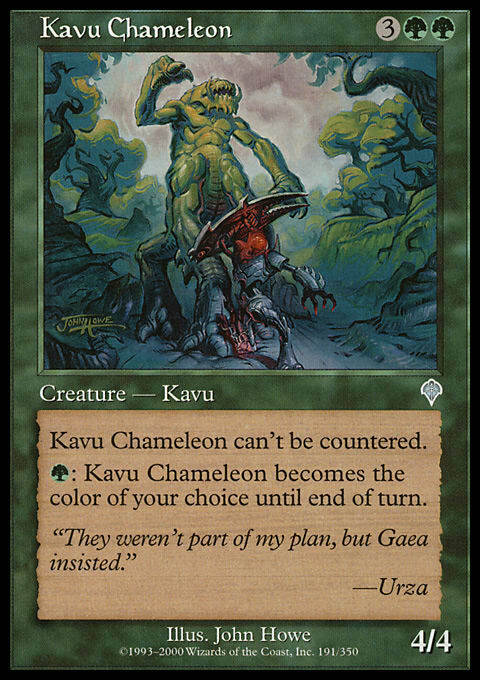 There were a number of uncounterable spells that were commonly played, such as Kavu Chameleon and Urza's Rage that this shut down. You saw it regularly as a useful tool of control, and I ran it in my own successful Standard decks too as a four-of. 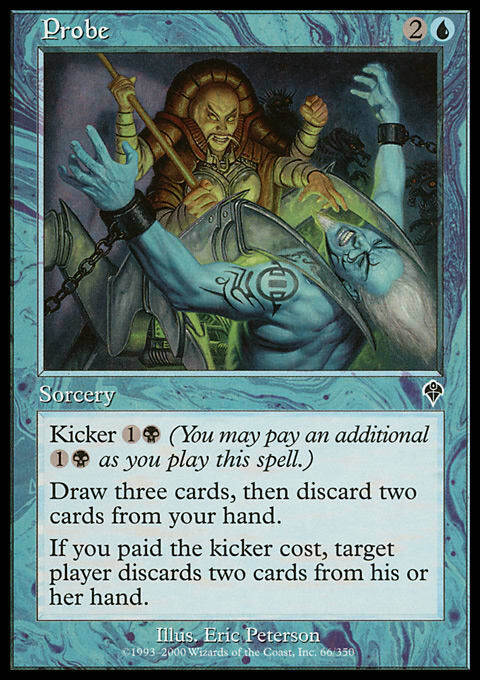 I would run it alongside something like Fleetfoot Panther or another self-bouncing effect in order reload it if the named card I chose early in the match may not have been the right call later in the match. For example, suppose I saw Underground River on the first turn, and then named Nether Spirit to prevent them from leaning on a strong game-winning effect. But then they could follow with something that demonstrated they were clearly not playing Nether Go, and my Mage was miscast, so I could bounce it and lock out something else instead. Mages were Great! 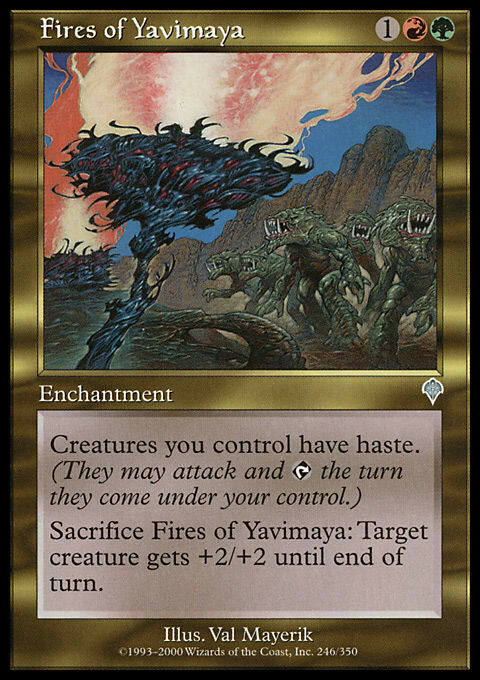 Fires of Yavimaya is an interesting card from a few angles. 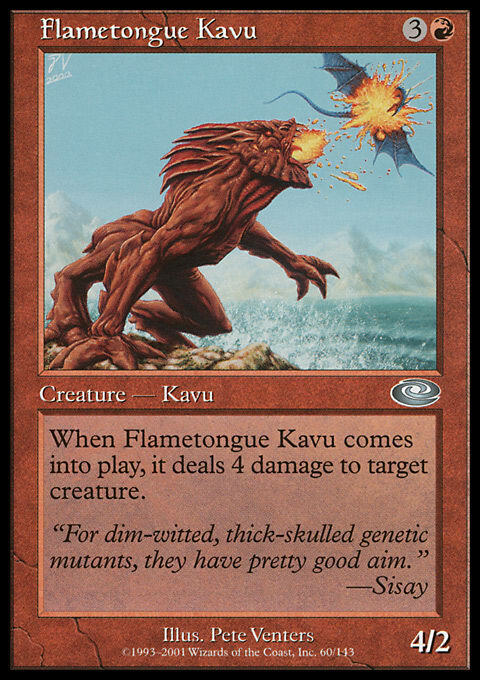 Its value led to arguably, the most fun dominant deck Standard ever had in Fires. This is a deck that ran cards like Llanowar Elves, Blastoderm, Birds of Paradise, Saproling Burst, my #2 below, and even a copy of Rith, the Awakener. I know a lot of people were ecstatic to see such a powerful creature-orientated deck as the clear powerhouse of Standard, particularly after the previous two years of Urza’s Nasty Combo Winter and Masques’ Tempo You Won’t Do Anything follow up with Rising Waters and Rishadan Port. Fires feels right. Now it’s not just a haste-enablers. Fervor had been printed way back in Weatherlight and had been Standard legal for a long time. It’s an easier-to-cast Fires. Why didn’t we ever have Fervor Standard? Don’t sleep on the sacrificing for a +2/+2 benefit either. It lets you net value out of any additional Fires you were drawing. It also could provide the additional reach needed for a quick kill. 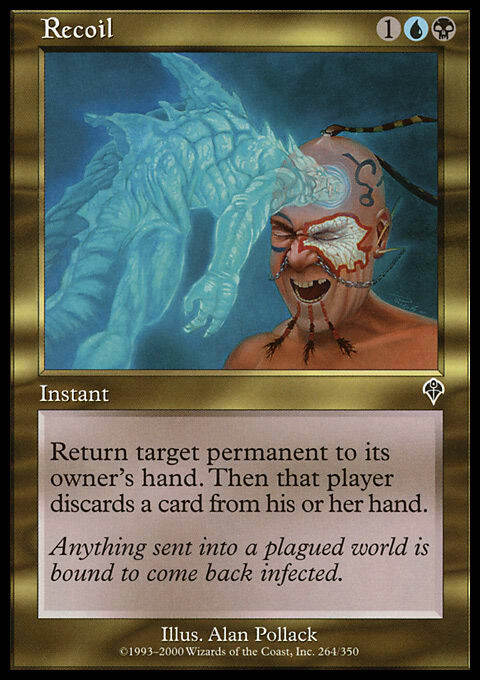 Turn three – A 4-drop, say Blastoderm. Swing for 5. They block and lose something. Turn four – A 5-drop, say Saproling Burst. Swing for 12 + 5. 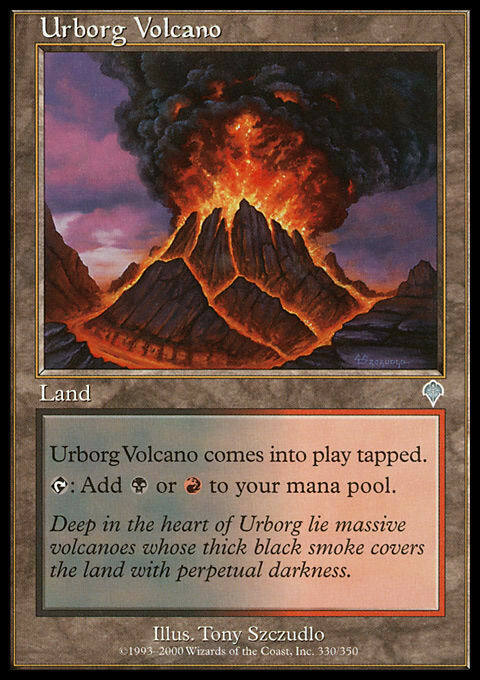 Sacrifice Fires to pump an unblocked token by +2/+2. You have just swung for 19 damage and likely lethal, or about to be. It also could be used to protect something from burn. 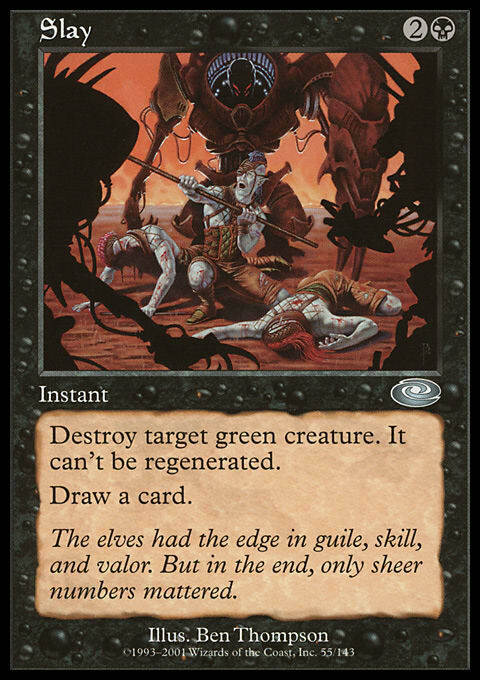 Burn was a common method of removal during this time, as you had cards such as the #2 below or Urza's Rage that were heavily played. Giving your dork enough of a boost could send the Fires elsewhere. Sometimes I’d burn something as a way to destroy their Fires, knowing they’d have to sacrifice it to save their dork. There’s a lot of value to the sacrificing here. And that little bit extra was enough to push it over the edge. This card and the #2 below could really be swapped around, as both were heavily played. Fact or Fiction became such a powerhouse that it became an anagram for Vintage – “EOTFOFYL” which stood for “End of Turn, Fact or Fiction, You Lose.” It led to dominant new decks in Vintage (such as a mono-Blue build called “BBS” for Blue BS which led to Morphing) and was ultimately restricted. That’s just Vintage. 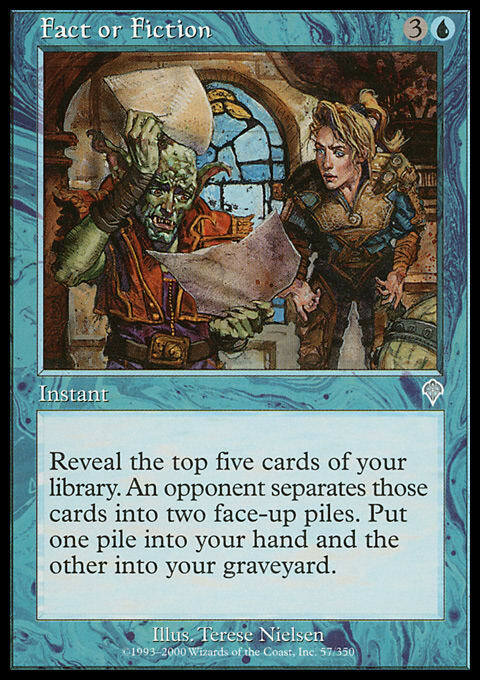 This card was also a major four-of in any Standard, Extended, or similar format that it was popping up in. It was a dominant card for the era, but it wasn’t the top two, nor was it even the top uncommon. That was . . . In nine Blocks out of ten, this would be the #1 card. It was so pervasive, so good, and so powerful that it became iconic. It was a heavyweight in Standard decks like Fires of Yavimaya. It was heavily used in Extended and was an automatic hit at every casual table format in which it was legal. It was so valuable in Peasant Magic that it often was used as 3 or 4 of the precious 5 Uncommon slots that format allowed you. It’s still a major force in Commander. You can’t go wrong with your FTK baby! And again, something truly powerful and special had to have been printed to keep it out of the top slot. Rock puts out Fire . 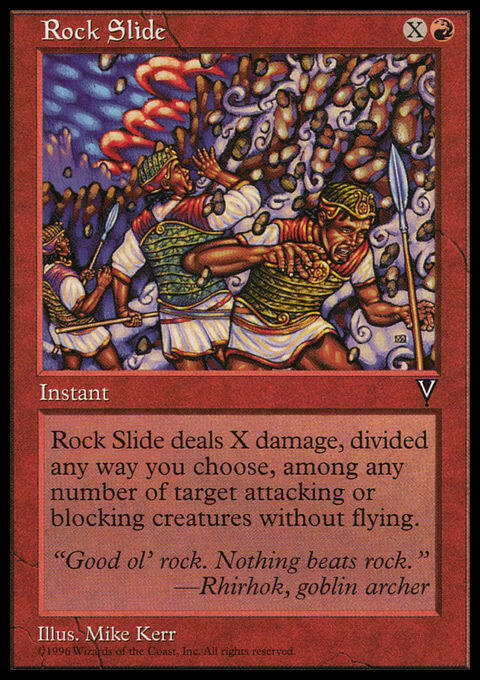 . .
Of course, I’m not actually referring to Rock Slide with the rock comments related to Pernicious Deed, but instead The Rock and his Millions deck that was built around the Deed. 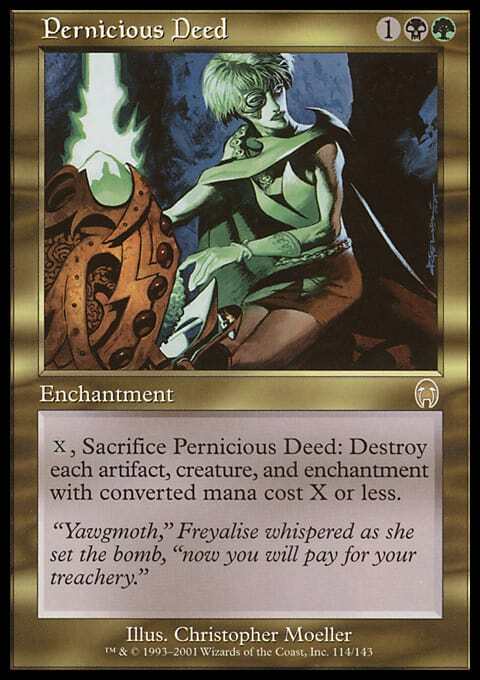 The original version of this powerful deck was Standard and it used cards like Yavimaya Elder and the Deed to provide a nasty control deck. 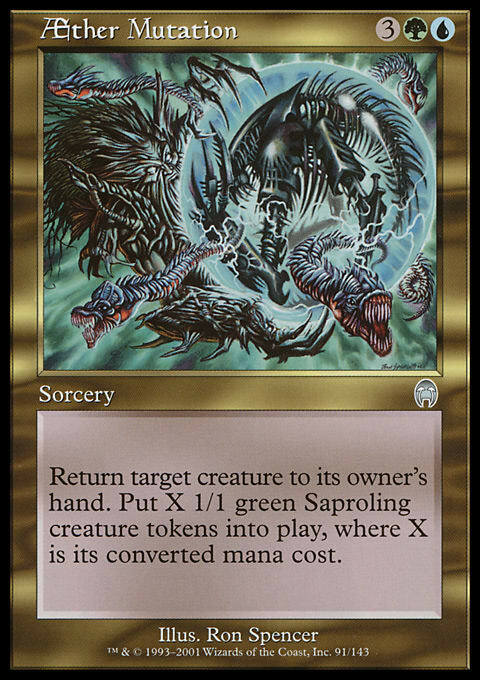 Then it moved to Extended and dominated that format and was one of the strongest cards for that format. It appears in Legacy and Vintage as well. It dominates Commander and other kitchen table formats. I named it the 5th most powerful card in multiplayer of all time. It dominates every format that it is legal in. It’s the best card from Invasion Block! And there you are! I hope you enjoyed our Invasion era slate of awesome cards here! Anything that I missed? Anything that you thought should have ranked differently? Just let me know! Did you enjoy our throwback list of the best cards of yore? Did you want to keep going back and check out some more fun times? Excellent! Check these out as well!